Welcome to the April 2015 Newsletter! This month, we are pleased to feature a large panel of books. 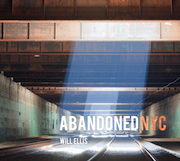 As usual, you find again here one book on urban exploration, Abandoned NYC, and our article by Olivier Namias, about French photographer Adel Tincelin. Books on Japan 1931-1972 is readable even if you do not read Japanese and is one of these graphic books you like to read all along the years. Please have a specific attention to CinéMaroc by Stephan Zaubitzer and, for all neon lovers, have a great time with Good Old Neon. Swiss Photobooks from 1927 to the Present, catalogue of the eponym exhibition, will be our back list item for April. Urban exploration photography by Will Ellis. Study devoted to the relationship between the cutting-edge architectural projects and the processes of nation building. Design identity of 100 propaganda magazines published between 1931 to 1972. A groundbreaking reassessment of the urbanist experiments Casablanca and Chandigarh (English version). Photographs of cinemas in 6 cities of Morocco by Stephan Zaubitzer. 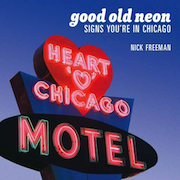 Photographs of neons in Chicago. A new overview of the history of Swiss photography. Copyright © urban-resources.net - April 2015 - All rights reserved.